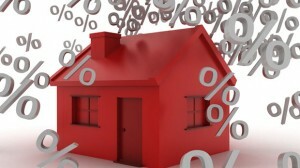 Home » Mortgages » Why are mortgage rates hitting record lows? All across the country, mortgage specialists and brokers are busy fielding calls from people who’ve just heard about this week’s record low mortgage rates. Bank of Montreal made the biggest splash by announcing a five-year fixed-rate mortgage of 2.99 per cent – the lowest advertised rate for such a popular mortgage term by any major Canadian bank, ever. Yes, there are more restrictions than usual attached to this mortgage and it’s supposedly just a two-week promotion. But other big lenders – like the Royal Bank – have already begun to match BMO’s offer. TD Canada Trust and Scotiabank now have a similar interest rate for four-year fixed-rate mortgages and TD this week lowered its six-year fixed rate mortgage to 3.79 per cent – a drop of more than a full percentage point. It also lowered its seven-year mortgage by almost a full percentage point to 3.99 per cent. So what’s driving all these rate plunges at the chartered banks? One element is that bond yields have been plunging recently, so market watchers say it’s not too surprising to see other rates drop, too, a reflection of there being more cash in the system. “Mortgage rate declines have actually been lagging behind falling bond yields, driven by global economic uncertainty,” says John Andrew, a real estate expert and professor at Queen’s University’s School of Urban and Regional Planning. So what we are seeing here is a bit of catch up on the part of mortgage rates. It is the bond market that is the bigger driver of longer-term fixed mortgage rates, not the Bank of Canada’s overnight rate, which directly affects variable mortgage rates and other floating loan rates. With stock markets shaky and volatility reigning in the currency and commodity markets, nervous investors have been stuffing money into safe Canadian bonds – driving up prices and driving down yields. The other reason cited by the experts is competition. “The first few months of the year are typically slower for the mortgage market,” says Mark Kocaurek, the chief lending officer at ING Direct Canada. In a commentary earlier this week for RateSupermarket.ca, he wrote that he expected lenders would lower fixed rates “over the short term in order to win more business.” A couple of days later, they did just that.